We’re not just a pretty face. 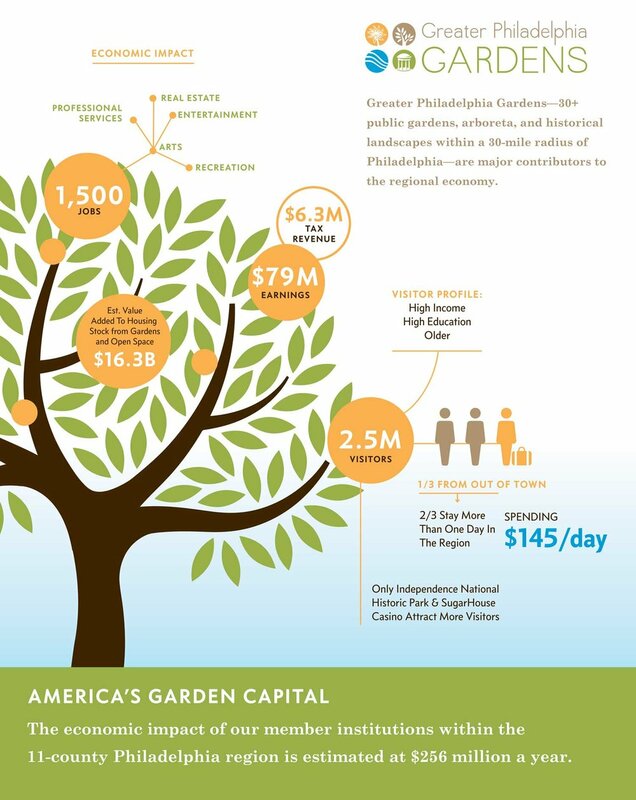 Philadelphia’s gardens have a major impact on the regional economy. The more than 30 Philadelphia-area member gardens that make up America’s Garden Capital generate substantial economic benefits for the region. A new study says Greater Philadelphia Gardens supports more than 1,500 jobs in many industries, including the arts, entertainment, and recreation. Beyond creating jobs, the gardens support local businesses and increase nearby property values. The impact is significant – about $256 million per year.